Before the two teams go head to head at Raymond James Stadium, they have to take care of business on Clearwater Beach. Each band performs in the a battle of the bands atmosphere, the cheerleaders compete in tug-o-war and the players eat pie! 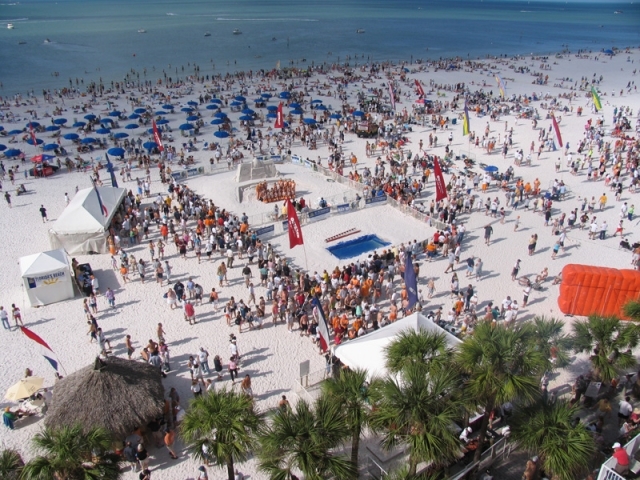 Outback Bowl Beach Day is free and open to fans and the public from 11 a.m.-4 p.m....then stay for the sunset! Stay tuned to find out which two teams will be facing off for the 2020 Outback Bowl.